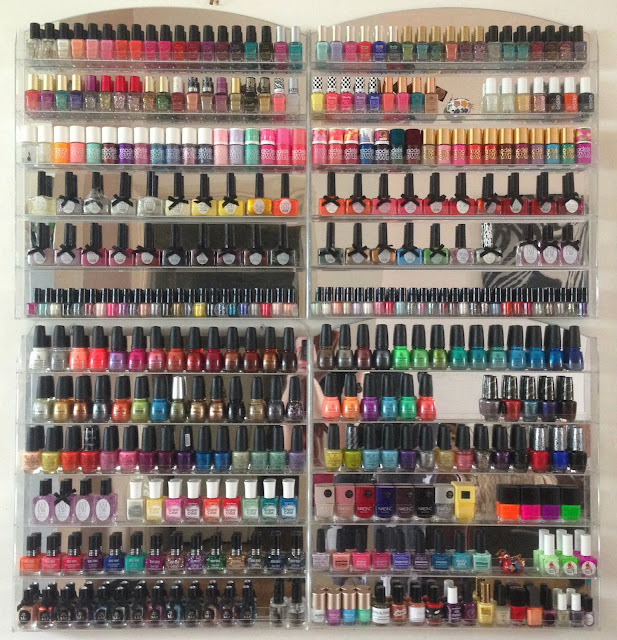 I LOVE seeing other people's nail polish collections. I'm very curious about how many they own, in what brands/colours, and how they store them. So I decided to spend my bank holiday showing you mine! All my favourite brands are out on display on shelves - these are my pride and joy, I even convinced my boyfriend they needed to be in the front room. I refuse to admit that they are full, constantly rearranging them to fit in new goodies (I have literally just taken off a load of polishes to fit more OPI's & China Glazes on). Find out more after the jump! I arrange by brand and then by collection and colour (confusing, I know!). 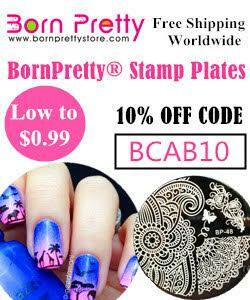 First are mainstreams - Barry M, Essie, Models Own, Ciate, China Glaze, OPI, Sally Hansen, Nails Inc, and then indies - Myalee London (reviewed here), ChiChi Cosmetics, Picture Polish, Parrot Polish and GG Couture. The last shelf has Moyou London stamping polishes and a mix of random singular polishes. I have a pink make-up case full of odd polishes and nail art items - nail foil, pens, dotting tools, glitter, nail files etc. Brands in here include Sally Hansen, Rimmel, Maybelline, w7 and Pretty. I have another tub of polishes that haven't quite made it up on my shelves. This also has Sally Hansens and Rimmels (I seem to have these two brands everywhere) and brands such as MUA, Make Up Gallery and Sinful Colours. This drawer is supposed to be full of candles. Unfortunately, it has been invaded by even more polish - mainly Sinful Colours and doubles yet to be rehomed (China Glaze & Ciate). Woops! I'm shocked by the amount I actually own. I didn't realise how many little stashes I had around the flat. Basically, I NEED a destash, quick!! How about you? Do you arrange by brand or by colour? On shelves or in drawers? Is there any of my collection you'd like more info on? Leave a comment and let me know!